Despite being technologically ahead, Russian weapons face a virtual ban in the West. However, the picture is entirely different in Asia. 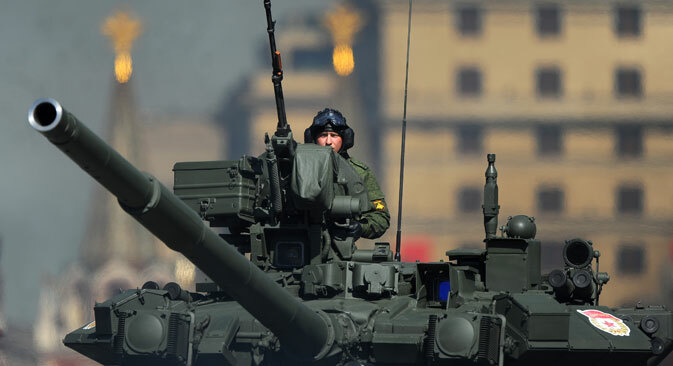 Russian weapons are good enough for China and India – countries flush with cash and able to afford the best – but in the western world there seems to be an unwritten ban on them. With the notable exceptions of Greece and Cyprus, no western nation even looks at Russian defense systems. There is a sort of economic apartheid at work against Russia. Long before the West officially slapped sanctions, Russian companies had been fighting an unwritten boycott of their manufactured products. Only a handful of gun enthusiasts in the U.S. imported Russian weapons such as Kalashnikov rifles, and these were clearly not bought in bulk. In contrast, both China and India are leading importers of Russia’s manufactured goods, in particular military equipment and armaments. China, which has a three trillion dollar treasure chest, prefers Russian technology. The bosses in Beijing aren’t fools; they are the rulers of a future superpower. Not only do they want to maintain China’s legacy of using Russian defense equipment, they are also acquiring precisely those systems that excel their western analogues. China’s latest acquisitions include the 4++ generation Su-35 fighter-bomber and the $500 million S-400 Triumf air defense system. Beijing’s appetite for Russian weapons is also fueled by its need to absorb leading-edge defense technology that it currently lacks. For instance, China is currently dependent on Russian engines for its J-20 and J-31 stealth jets. Industry watchers can see the varying degrees of difficulties Chinese engineers are experiencing in incorporating US versus Russian technologies. China’s stealth fighters are largely based on US stealth technology accessed by Chinese hackers, and Chinese designers produced their aircraft before the Americans could perfect their own F-35 stealth fighter. On the other hand, Russian engines have proved to be hard to reverse engineer. The need to look at the Su-35’s engine is one of the reasons China is spending billions on just 24 of these advanced Super Flankers. You get the picture – Russian technology is on a much higher level than western commentators would care to admit. Fed on a steady diet of Pentagon press releases and sometimes working as embedded reporters in war zones, most western journalists are not able to make informed judgments. They suffer in another way – you don’t bite the hand that feeds you. Employment in corporate America means you can’t afford to write anything that will portray American defense equipment as anything less than exemplary. End result: objectivity is tossed out the window. Such close-mindedness can be self-defeating because it prevents the public and commentators from taking an objective look at comparative strengths and weaknesses. Only if and when war breaks out will the public know the efficacy of western weapons against a well-trained and motivated enemy. Such an enemy won’t be like Iraq that was pounded by over 40 countries and lacked a motivated military. If the US comes up against the likes of China, Vietnam or India then it will see real action. By then it could be too late to make changes in weapons design. India is investing a neat $25 billion in Russia’s PAK-FA stealth fighter project. Other big-ticket buys include the Sukhoi-30 Flanker, T-90 tank and stealth warships. India has allocated over $100 billion for military equipment during the current decade and a hefty chunk of that amount will go to buy Russian weapons. Despite western defense companies camping out in New Delhi, desperate to hawk their aircraft, submarines and missiles, India is sticking largely with Russia because its battlefield experience with Russian weapons has been positive. Geopolitical considerations play a key role in the choice of weapons providers. That won’t change. But other unpredictable factors can play havoc with defense planning. Take the F-35 stealth fighter. It was meant to the surgical strike weapon – a one-size-fits-all solution the US had come up with for itself and its allies. The F-35 was supposed to replace all existing war planes because it would perform all roles that are currently being done by a clutch of fighters such as the F-15, F-18, F-16 and the A-10 tank killer. Turns out, the F-35 is a truly useless fighter that has blown an Australia-size ($1 trillion) hole in America’s defense budget. Japan and Australia plan to acquire around 70 each of the F-35 to replace their F-15s and F-18s. Now forget the plane’s shortcomings such as lack of thrust, paltry firepower and engine blowouts. The bigger worry for Japan and Australia is the F-35 will be prohibitively expensive to operate, which means fewer training flights for their pilots. Secondly, the aircraft will spend dozens of hours in maintenance for each hour of flight which means lower fleet availability. In war, it could be the difference between winning and crying off. In this backdrop, Asian nations need to act smarter than Japan and Australia to ensure they are getting enough bang for their buck.